“The sell-out audience and flawless musicianship suggest this could be a very big year for the Americana soul rocker,” says Louder Than War of Jake Smith’s outfit, whose music has featured on Sons of Anarchy. His recent performance at The Lantern saw the Americana artist perform tracks from his extensive back catalogue, including latest album Love and the Death of Damnation. “Smith is one of the finest young(ish) writers reinvigorating the Americana scene,” says Bristol 24/7. This event is at The Trinity Centre & is a standing show. 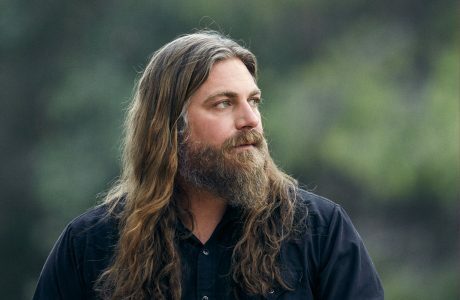 The stage/recording name of American musician, singer and songwriter Jake Smith, The White Buffalo has released five albums and three EPs since 2002 debut Hogtied Like a Rodeo. After the track Wrong was featured in the surf film Shelter, it wasn’t long before major US TV shows including Sons of Anarchy and Californication came knocking, and songs by The White Buffalo have since been used extensively in these programmes, among others. The album Once Upon a Time in the West was released in 2012, with the breakthrough Shadows, Greys and Evil Ways following in 2013. The fifth album Love and the Death of Damnation was released in 2015 after working with Dorn and Witkin on a series of new songs revolving around real or imagined characters experiencing the harsher aspects of life. It received widespread acclaim and was placed on various charts. Smith’s popularity got another bump in 2017 when his song “I Know You” was used in the trailer for the popular video game Halo 2. In 2017 the band released Darkest Darks, Lightest Lights.